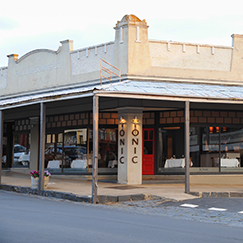 Corner Pym and Victoria Streets, Millthorpe NSW 2791 T 02 6366 3811 http://www.tonicmillthorpe.com.au Established in 2003 by owners Tony and Nicole Worland, Tonic is located in the centre of the heritage village of Millthorpe. 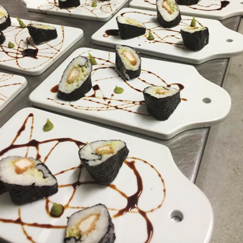 The menu has a seasonal focus and showcases the best of local produce. Regularly awarded a chef's hat over the past 14 years by Sydney Morning Herald Good Food Guide. We pride ourselves on delivering fresh local food in a beautiful setting. Ideally located for a weekend away to enjoy the region's vineyards and find local produce. Open Thursday, Friday and Saturday for dinner. Saturday and Sunday for lunch. 129B Adelaide Street, Blayney NSW 2799 T 02 6368 3262 M 0437 655 553 admin@nellieryans.com.au http://www.nellieryans.com.au/ Offering a relaxed atmosphere to kick back and relax during your lunch break, or perhaps you are looking for somewhere to have a casual get together or a formal outing, we do it all. At Nellie Ryan's we pride ourselves on our quality of food and customer service. 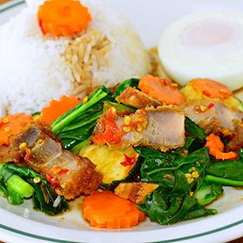 Shop 2, Bernardi's Market Place, Blayney NSW 2799 T 02 6368 2884 Nine & Nine Thai kitchen is Fresh Authentic Thai Restaurant , food will be prepared by a Thai chef from Thailand. The food will be cooked in the way you like. 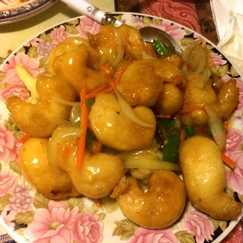 56 Adelaide Street, Blayney NSW 2799 T 02 6368 2063 Famous restaurant with fabulous Chinese cuisine, rich and colorful, with aromatic flavor, and excellent taste. Eat in or to take away.